Nearly 30 skiers and boarders were blessed with huge amounts of snow and sunshine at China Peak on 2/4. Lunch was great and everyone had a blast. 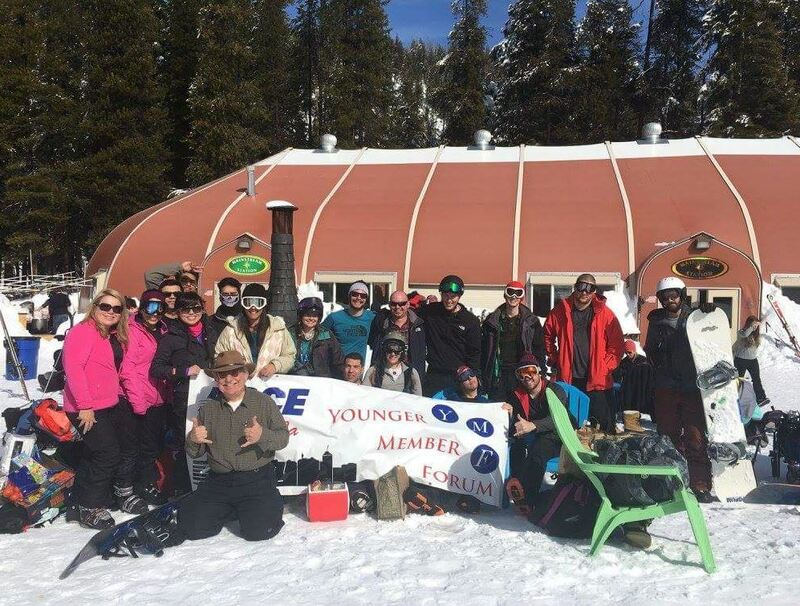 February was a busy month for the SF Younger Members Forum. As a group, we hosted First Fridays in Oakland, Habitat for Humanity with Stanford, our annual writing contest, a ski trip to Tahoe, and a presentation by some of our younger members at SFSU. These events allowed us to connect with students and other professionals in an informal setting, and create awareness of our group as students transition into their professional career. We would like to thank the event coordinators and welcome any other groups who are interested to plan a joint event with us. Upcoming events in March include a resume workshop at SFSU.